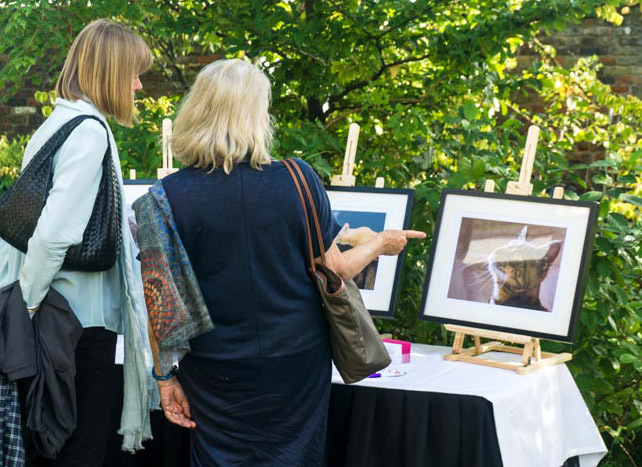 This year’s International Cat Care annual celebration was held at the Kensington Roof Gardens in London on Sept. 11, 2015. Every year ICC presents the ‘Easy to Give’ award, created to reward pharmaceutical companies whose products are easy to administer to cats and don’t damage the relationship between you and your cat. and two awards for products from Ceva Animal Health – for Vectra Felis – another flea treatment and for Zodon, an oral antibiotic that can be squirted into the cats mouth. These companies will be granted the use of the Easy to Give logo on advertising to the veterinary world. These bring the total number of Easy to Give awards presented, since their inception in 2005, to 35. Easy to Give Award winners from left: Claire Bessant, iCatCare Chief Executive; Alison Henry, Ceva; Bradley Viner, iCatCare Vice President; Nicola Barclay, Ceva; Rachel Crowe, Norbrook; Simon Bolton, Virbac. The SoftE Smart Collar, a comfortable, cleanable and lightweight wide collar for those times when you have to stop a cat licking a wound. The SureFeed Microchip Pet Feeder opens in response to the cat’s microchip or collar tag. The Cat Carrier Tree allows cat baskets to be placed off the ground in waiting rooms, helping cats to feel less stressed. On display were the winners of ‘The Beauty of Cats’ photography competition. The photographs feature cats from across the world, including cats from Canada, Finland, France, Hong Kong, Poland and the UK. A photograph of a Hong Kong street cat, affectionately known as ‘Shy’, taken by Hon Wa Yip, wins first place in the ‘The Beauty of Cats’ photography competition. 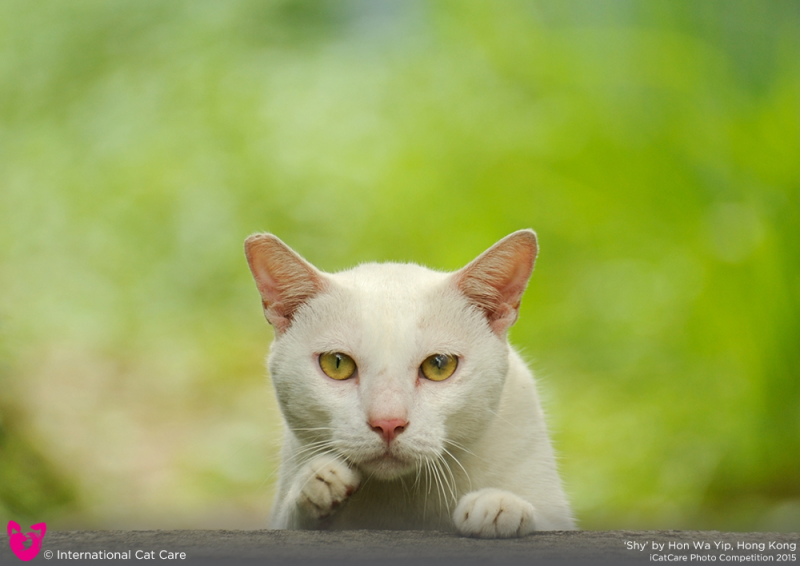 The 12 winning photographs feature in the iCatCare Calendar for 2016 – with Shy on the cover as the overall winner. For more information on the awards, have a look at the charity’s website, www.icatcare.org or if you are interested in buying the terrific calendar or cards see www.icatcare.org/shop. 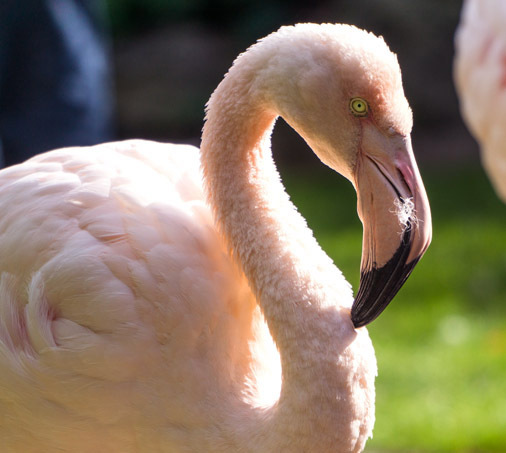 The top 100 images are available to view on the charity’s Facebook page. 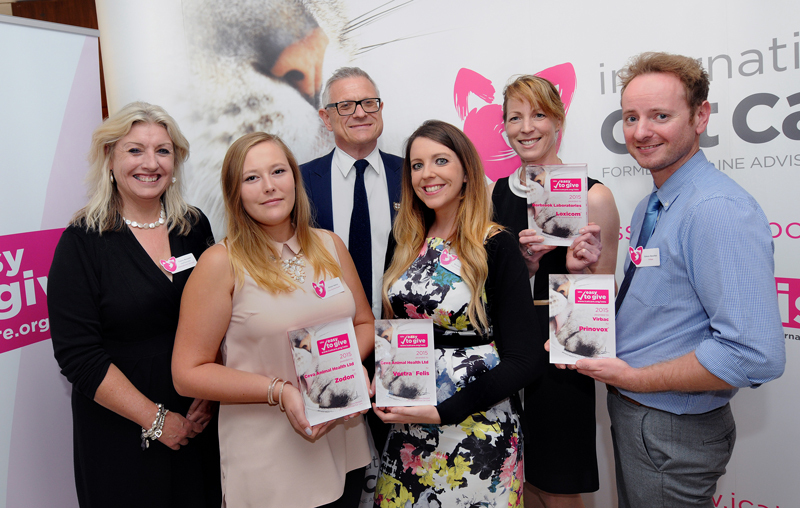 We have always enjoyed our association with ICC and the excellent work they do to improve the lives of our cats.